‘Steck’ is the German word for ‘plug’. 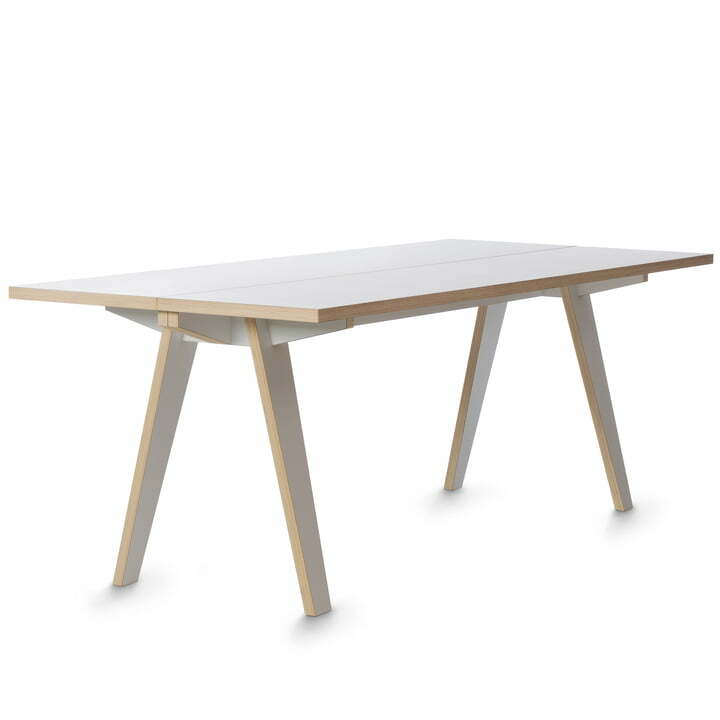 The Tojo Steck Table just has to be plugged in and put together with 8 screws. 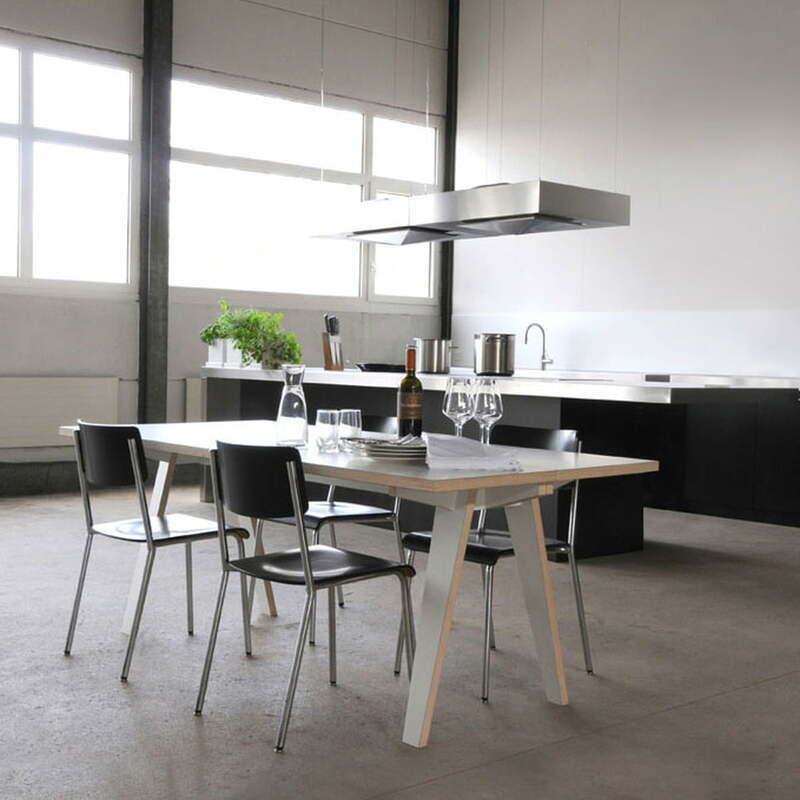 Thanks to the tabletop in two pieces, the Tojo Steck can be transported to save space or stored and can be put back together in an instant when it’s needed again. The appealing, simple design of the table with its conical legs can integrate nicely into various furnishing styles and spaces. The Tojo Steck table is made from birch multiplex coated with melamine resin. 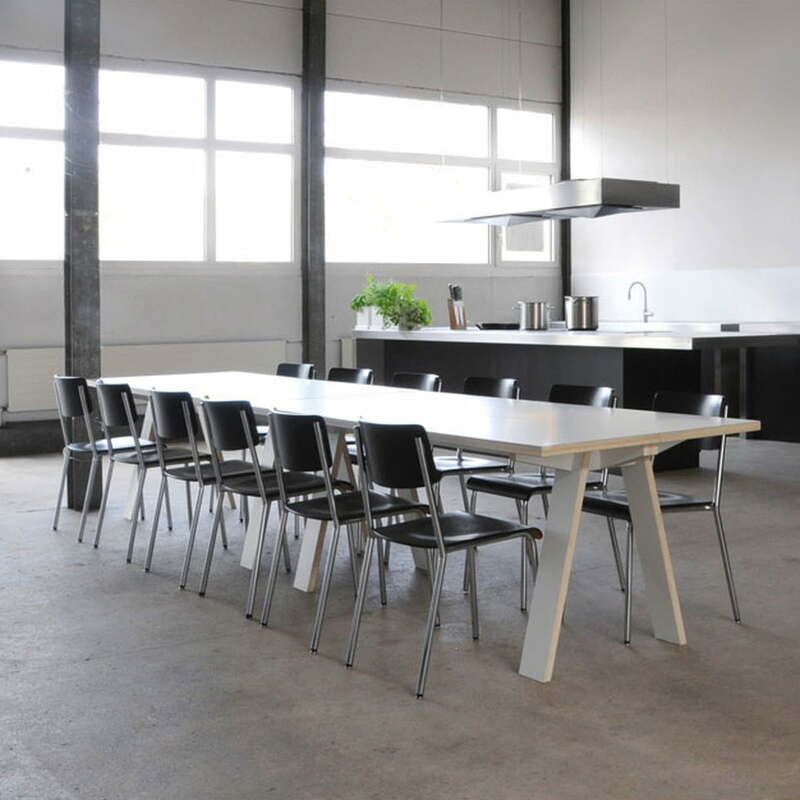 The Steck table from the ‘eigenwert’ design studio was nominated for the Berner Design Award in 2008 for its innovative design and won the Interior Innovation Award in 2012.